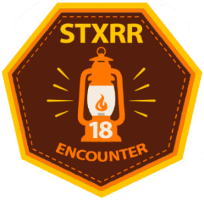 Encounter is all about choosing your schedule, outpost emphasis and activities. We will still meet corporately for powerful spiritual services and morning devotions, but the balance of the time is flexible to allow outposts to work on merits, outdoor skills, cook meals, build relationships with each other or just relax. 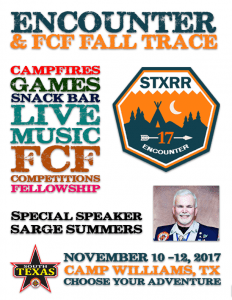 The Texas Independence FCF Chapter will again host the annual Fall Trace and the color, excitement and frontier skills. 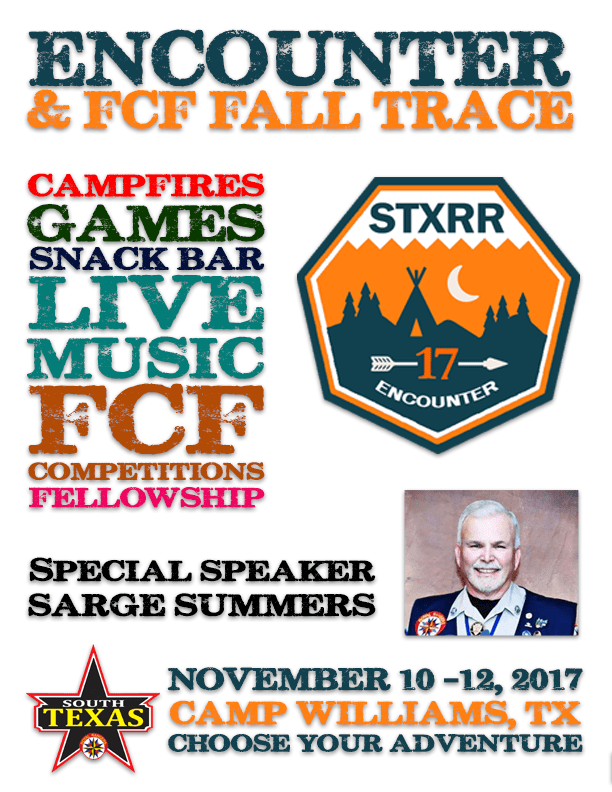 This year, the Fall Trace will showcase frontier crafts, trades and skills that will be of interest to members and non-members alike! Both FCF members and non-members are eligible to register for the Trace (optional) and participate in the activities, demonstrations and fellowship. 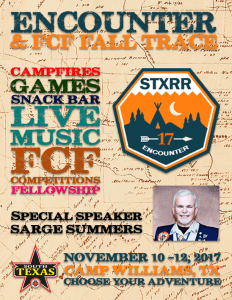 Any Young Buck (FCF members under 18 years old) that is interested in competing for Chapter FCF Scout should download and complete the FCF Scout application found on the Encounter event webpage and send it to Greg Breed at sbreed001@comcast.net no later than Friday, October 26th, along with 3 personal reference forms. Anthony “Black Arrow” Hubbard will be traveling from Arkansas to join us as our special services speaker, and on Saturday evening, we will take a camp-wide offering for the Camp Williams Shower/Bathroom Project, our 2018-19 district missions project. 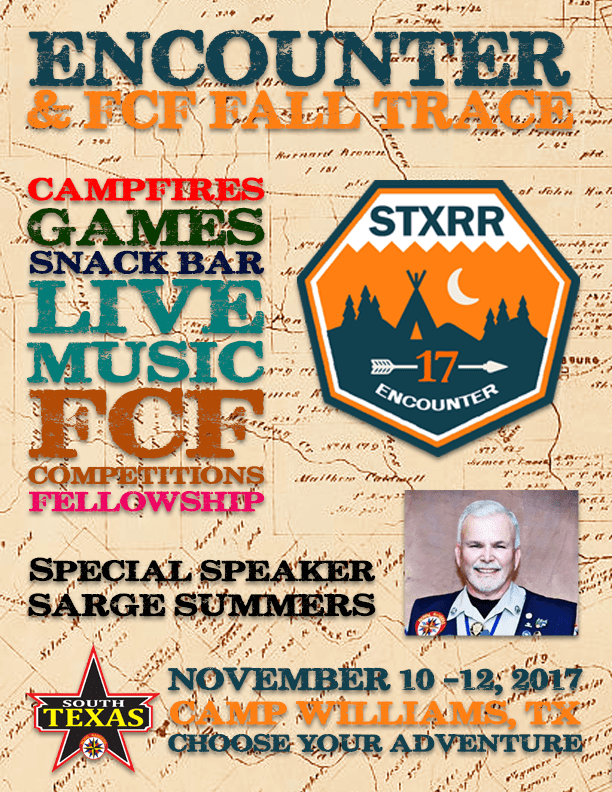 Grab your best recipes, cooking gear, needed equipment for outpost activities (and maybe even a jacket) and come expecting a great “Encounter”! 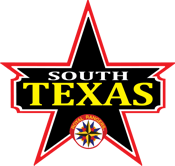 Adult campers 18 years of age and older must be listed on the “Annual Adult Approval” form submitted by their church and an unexpired photo ID to attend Encounter.